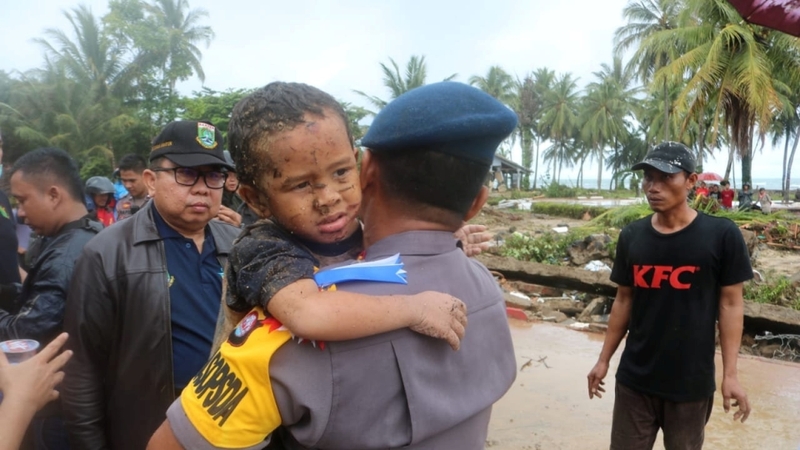 Rescue workers are stepping up efforts to reach many areas devastated by a deadly tsunami that hit an Indonesian strait almost without warning in the darkness, smashing into houses, hotels and other buildings. 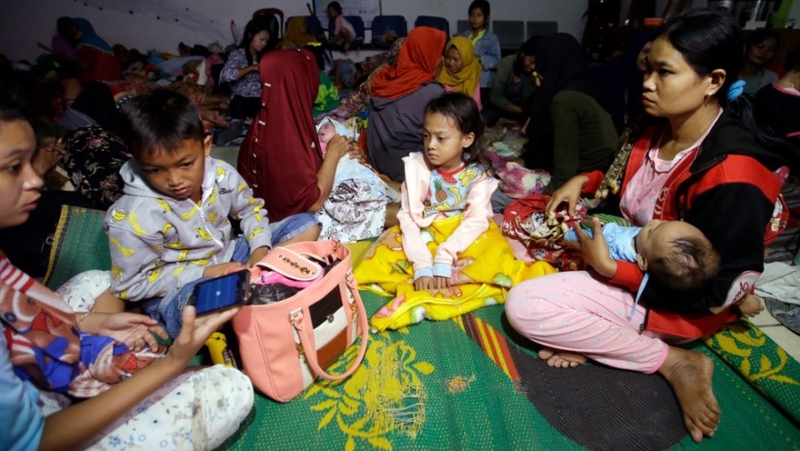 As doctors worked to help survivors and hundreds of people searched on debris-strewn beaches along the Sunda Strait for more victims, Indonesian officials said on Monday morning that the death toll had risen to at least 281, with more than 1,016 injured. Dozens are missing from the disaster areas along the coastlines of western Java and southern Sumatra islands. The numbers could increase once authorities hear from all stricken areas. 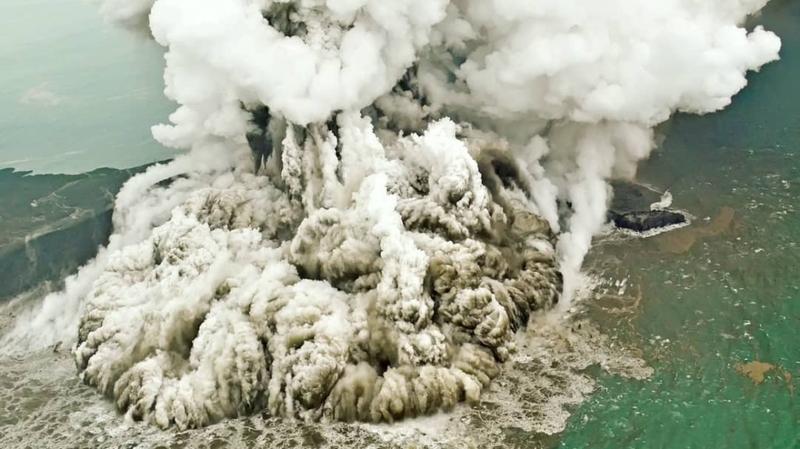 The waves that swept terrified people into the sea on Saturday night followed an eruption and possible landslide on Anak Krakatau, a volcanic island that has been emerging from the sea since the 1920s. Government and non-government aid trickled in to Pandeglang, the worst-affected area on Java’s west coast. In Lampung, in southern Sumatra, dozens of people have been reported dead. Authorities have warned residents and tourists in coastal areas around the Sunda Strait to stay away from beaches, with a high-tide warning in place until Tuesday. Al Jazeera’s Andrew Thomas, reporting from Pantai Tumaritis, on the western coast of Java, said officials were wary about a possible reoccurrence. “All Monday morning, there has been a low rumbling noise that occasionally peaks from the volcano some 47km out to sea directly from where we are,” he said, reporting from a hotel where two young children were found dead. Indonesian President Joko Widodo expressed his sympathy and ordered government agencies to respond quickly to the disaster. Search and rescue officials used their bare hands and some heavy machinery to clear the remains of buildings on Monday, while the Indonesian Medical Association said it is sending more doctors and medical equipment to treat those injured, with many being in need of orthopedic and neurosurgery expertise. Most patients are domestic tourists who were visiting the beach during the long holiday weekend, but foreigners were visiting the area ahead of Christmas as well. Many coastal residents reported not seeing or feeling any warning signs, such as an earthquake, on Saturday night before a first, small wave washed ashore. “What people here told us is that there was an initial wave that covered their feet, that kind of splashed over the sea walls, and about four-five minutes later the big one came,” said Thomas. “Along this coastline, it’s so flat, there really is nowhere for people to run inland – and that was the trouble on Saturday night,” he added. “I heard a rumbling sound and I thought it was the wind. After I opened the door, water came in quickly and dragged me out. When I saw outside, the sea was receding. I decided to run and go as the water came again for the second time,” she said. The widespread damage became apparent after daybreak on Sunday. Nine hotels and hundreds of homes were heavily damaged by the waves. Broken chunks of concrete and splintered sticks of wood littered hard-hit coastal areas, turning beach getaways popular with Jakarta residents into near ghost towns. 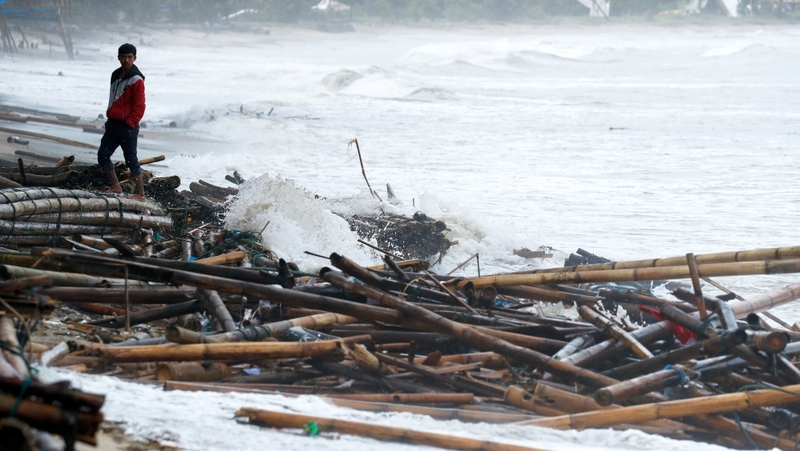 Debris from thatch-bamboo shacks was strewn along beaches. Dramatic TV footage showed how the tsunami washed away an outdoor stage where Indonesian rock band Seventeen was performing for hundreds of guests at an end-of-year party for state utility company PLN. At least four band members and support crew were killed, the group’s lead singer told followers in a tearful Instagram account. The band’s drummer was among the missing. Another 29 PLN employees and relatives were also killed. 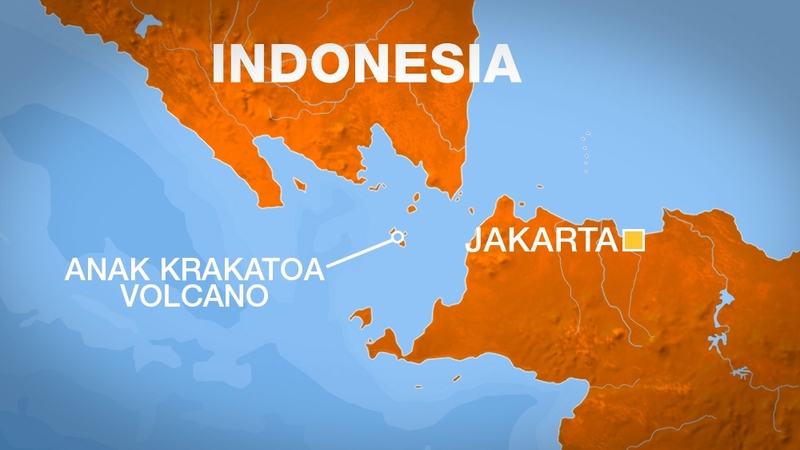 Scientists, including those from Indonesia’s Meteorology and Geophysics agency, said the tsunami could have been caused by landslides – either above ground or under water – on the steep slope of the erupting Anak Krakatau volcano. The scientists also cited tidal waves caused by the full moon. The 305-metre-high Anak Krakatau, whose name means “Child of Krakatoa”, lies on an island in the Sunda Strait between Java and Sumatra islands, linking the Indian Ocean and the Java Sea. It has been erupting since June and did so again about 24 minutes before the tsunami, the geophysics agency said. Gegar Prasetya, co-founder of the Tsunami Research Center Indonesia, said Saturday’s tsunami was likely caused by a flank collapse – when a big section of a volcano’s slope gives way. It’s possible for an eruption to trigger a landslide above ground or beneath the ocean, both capable of producing waves, he said. Indonesia, a vast archipelago of more than 17,000 islands and home to 260 million people, lies along the “Ring of Fire”, an arc of volcanoes and fault lines in the Pacific Basin. Roads and infrastructure are poor in many areas, making access difficult in the best of conditions. A powerful quake on the island of Lombok killed 505 people in August. And the tsunami and earthquake that hit the islands of Sulawesi in September killed more than 2,100 people, and thousands more are believed buried in neighborhoods swallowed by a quake phenomenon known as liquefaction. It was the second deadly tsunami to hit Indonesia this year, but the one that struck the island of Sulawesi on September 28 was accompanied by a powerful earthquake that gave residents a brief warning before the waves struck. Saturday’s tsunami also rekindled memories of the massive magnitude 9.1 earthquake that hit Indonesia on December 26, 2004. It spawned a giant tsunami off Sumatra island, killing more than 230,000 people in a dozen countries – the majority in Indonesia.